The Chonnam Tribune recommends two cultural spots, Beethoven Music Café and Ullim-dong Art Museum Street. Beethoven Music Café is a great place to enjoy classic and opera music with tea. For 30 years, it has been holding on to its authentic style and exudes a sense of antique charm. Every Tuesday and Wednesday, there are some classes for people who are interested in learning how to appreciate classical music and opera. “Most of the classes have ten to thirteen students. 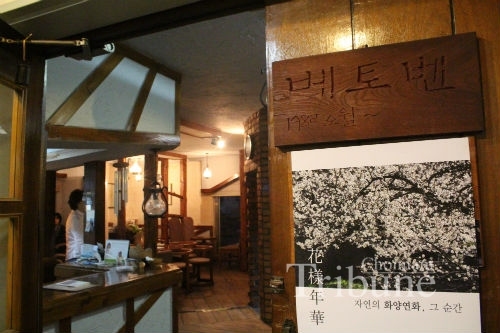 And the majority of them have visited here before,” said Lee Jung-ok, the owner of the café. This music café, located in Geumndam-ro, could be a perfect place for busy modern people to rest with the harmony of classic music and a cup of tea. At the foot of Mudeung Mountain in Unlim-dong, there is an art museum street. Uijae Museum of Korean Art displays oriental paintings by Uijae Huh Baek-ryun (1891~1977, Korean artist). 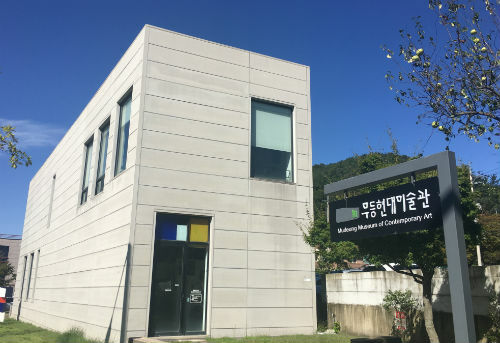 Its chief curator Kim Byung-hun said, “The underground area is usually used as an event hall for performances or education sessions, but this year, we are displaying pieces of Gunilla Klingberg, one of the Biennale artists.” Mudeung Museum of Contemporary Art focuses on pieces of modern artists and featured Bernd Krauss as part of the 11th Gwangju Biennlae. The art museum street is a great spot to enjoy both the natural beauty of Mudeung Mountain and beautiful artwork.